You got 20-23 year old American and European children trying to fix adult level problems, who never ran a business in their life, then trying to tackle the most confusing cultures on the planet, (10,000 years old tribes.). And, then Africans bosses just do not care about their people, no Chef or Boss would ever lower himself to work with small people. 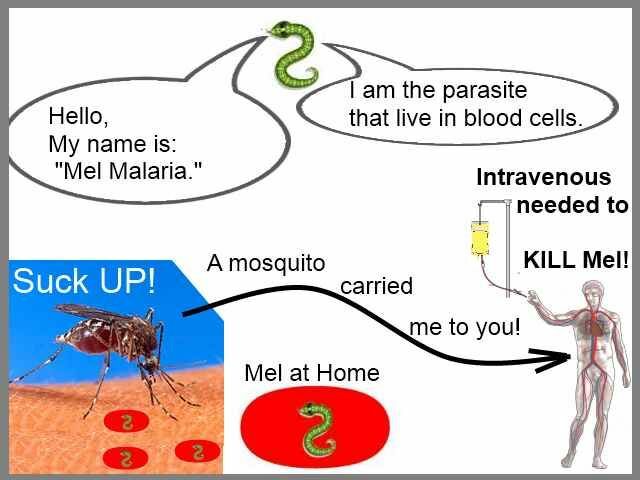 I am thinking about making an application to Bill Gates Foundation for money to fight malaria. And if you as a Doctor, and your Doctor friends would be the devils advocate, I thi I could save millions of lives. I know that sounds pompous and arrogant, but some of the the problems here are just too simple to solve. I am in Kara, Togo, West Africa. Long-lasting insecticidal nets (LLINs) are the preferred form of ITNs for public health distribution programmes. WHO recommends coverage for all at-risk persons; and in most settings. The most cost effective way to achieve this is through provision of free LLINs, so that everyone sleeps under a LLIN every night." They want people to sleep under mosquito nets, and they refuse, they refuse so hard, that in the city Kara, Togo where I am in, it is almost impossible to buy a mosquito net. But, it is absolutely simple to buy screens kits to cover windows and the pages does not even reference the one solution that the people accept, and are using. The cost of 1 malaria net is about 3-10 dollars. The cost to test for malaria here is 1 dollar. 7 dollars to treat, and 7 dollar for the net - One saves a direct life, while the other is round robin, and they refuse to use. There are about 15 languages in Togo, but 4 major ones, and any person over 40 is almost illiterate, and the chief of police, the mayor probably cannot read faster than an American 10 year old. I bring girls in my room with University educations and they cannot read fast, they never have read a book in their lives. The written word here does not work on signs. Only the spoken word is understood by the mass public, and it needs to be in 3-4 languages here in Kara. The number one reason that Malaria spreads is because a person does not have 7 dollars to buy the Malaria medicine. Then, while infected he or she is bitten by mosquitos, and it transfer to others. People delay spending money, buying the malaria medicine, getting test, everything to do with the problem until is a major attack by the Malaria parasites. When they have no choice, they treat it. 7 dollars stopping them from delaying going to the doctor, and buying the medicine. There is also belief that they are immune, or you can become immune, and they take half the medicine, not all the medicine. In general, most people do half measure, not a complete eradication from the body with Intravenous serums. I had malaria, this is easily cured. I wrote you a week ago, and was waiting for reply and was going threw a mass mind process of trying to understand real facts, not just what the doofesses say. I went to 5 pharmacies trying to buy a mosquito net, none in stock, but tons of malaria medicine in stock. Africans people are superstitious like they believe they know, and refuse to pay the one dollar. Why? One dollars is a days wages. On and on this goes it is always just man levels of errors in judgements piled on top of each other. "sit and talk with me." "I am leaving, you need quarantined." "Sitting in the room with mosquitos flying around is idiocy." She would have gone to the Hospital if they gave her free medicine. Yesterday, as if this was laid in my lap, I was asking the owner of my Auberge where he worked. He works in the laboratoire at the Hospital, that does the malaria test. I had been avoiding going to the Hospital to ask questions? It is a HUGE problem to deal with African buerocracies. Africans are almost violent, and extremely dangerous when they work in Hospitals, or big business, or any boss. Asking questions of a Chief, Mayor, or head of a hospital could get me arrested. You never question a chief, he is always right. It takes someone like me, with 15 years of experience dealing with this type of problem to work my way past their no's. They would just give me lies, and get me out of the office, you are not a doctor, etc. Same as the USA, as if a PHD person reads more than me. Any human on the planet can read until he or she knows more than a PHD. Caring always trumps a person who does not care, I care. I read daily about Malaria, I do not want to get it again, but I also know it is simple 7 dollars and I am finished. I have had no side effects, this is from getting half-done pills, or using old methods. I want to run an Malaria experiment here in Kara. More or less set up speaker boxes that say in 3-4 languages. "Free Malaria medicine if you come to the Hospital and get tested." 1 dollar investment if they come. Patrick, who owns the Auberge Beau Sejourin says they run 50 test per MONTH. He should know, he does them at the laboratory. I am going there today to try to bleed more specific information. So, self diagnose is probably another 100 to 200 cases of Malaria. The delay of getting tested and treated could be shortened from 10 days down to 1-2 days. Which would close the window of opportunity to be bitten by mosquitoes by 80 percent. Personally, I think they need to spend the night in a quarantined room. But, for 200 x 7, or 1400 USD, we could develop a methodology to save millions of lives. Just saving one is worth it. 1. Advertise for free medicine by speaker boxes in 5-20 places. And signs along with them. 2. Free Medicine for malaria. 3. Test for 1 dollar, the Doctor is free I think, and pay six dollars for the cure. Patrick the hotel owner is a good guy, he works in the laboratory, I now have a great way to get around the buerocracy. I am always amazed at NGO people, they just put in their time, drink beer, and have fun, as if what they are doing was effective. And of course, any true researcher, is not really wanting to live in Africa. they send in 20-25 year old people who have no life experience. I met the Doctors without Borders in Niger, when there was the epidemic of malnutritions, they were not focused. There is a problem of "groupthink." +1 260-624-4414 and it reaches me on Skype.